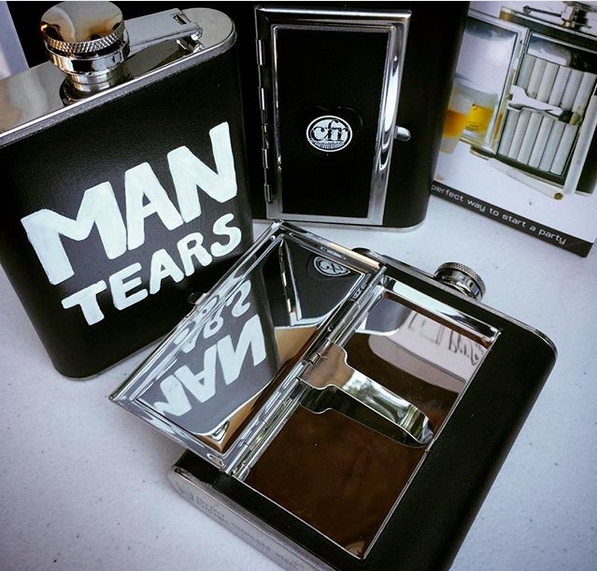 Black faux leather 6oz flask made of food grade 18/8 stainless steel with MAN TEARS hand painted on the back, and a cigarette/joint holder on the front. Smokes compartment measures 4 x 2 x 5/16 inches. It fits up to six standard size or 100mm cigarettes. Also includes funnel and bottle opener!